Editor’s Note: This is the first in a series of posts from our Official Romance Correspondent, Rebeca aka Renegade, who’s shining a light on her favorite authors. There are a few authors I am completely, unwaveringly, loyal to. They have earned my trust with a slew of wonderful books, becoming beloved in their own right. No one’s perfect, but I’ve found something to enjoy in most, if not all, of their books. I’ve written up a few of my favorite YA (and Middle Readers and Children’s) authors to start things off. These are important names, so I’ll show you mine if you show me yours, okay? I knew, in the silence that followed, that anything could happen here. It might be too late: again, I might have missed my chance. But I would at least know I tried, that I took my heart and extended my hand, whatever the outcome. We’ve raved abouther before and I’m sure we’ll rave about her again. Sarah Dessen deserves every word of praise. Her characters manage coming-of-age issues with impressive and believable emotional maturity, striking bittersweet, hopeful notes. She captures those fragile moments of change and growth perfectly, transporting me to my own pivotal moments. I love The Truth About Forever most of all. It’s a book about being vulnerable enough to be open to new possibilities. Or read Keeping the Moon (originally published as Last Chance), which holds a special place in my heart as the first Dessen book I ever read. It follows the heroine as she struggles with her identity, bearing a mild resemblance to a Cinderella story (one of my weaknesses). “Well, we were always going to fail that one,” said Ron gloomily as they ascended the marble staircase. He had just made Harry feel rather better by telling him how he told the examiner in detail about the ugly man with a wart on his nose in the crystal ball, only to look up and realize he had been describing the examiner’s reflection. Well, duh. Her books are very accessible masterpieces. 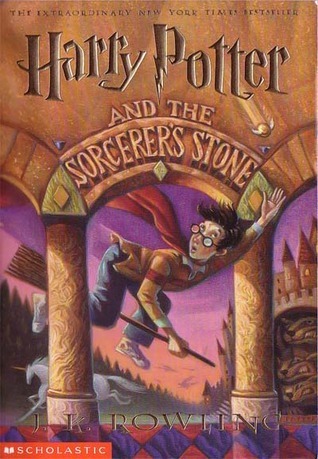 I read the entire series aloud with my family starting with the first book on my own 13th birthday. I bought it on my dad’s recommendation with my birthday money and never looked back. There were times we would all sit in the car an extra five minutes after arriving wherever we were going just to hear a bit more. These books are family. I will occasionally confuse people by referring to her characters as if they are people I know. (At a recent book club meeting we were discussing the word “git” and how the British use it. My response? “Oh yeah, Ron says that all the time.”) Start at the beginning with Harry Potter and the Sorcerer’s Stone, in which we are introduced to a whole host of loveable characters. Chief among them, for those of you who don’t already know, is Harry Potter, a boy who discovers he is a wizard on his 13th birthday. Note: I’m ashamed to say I haven’t preordered her new adult book The Casual Vacancy, but it’s definitely on my reading list. A poem doesn’t come out and tell you what it has to say. It circles back on itself, eating its own tail and making you guess what it means. Billingsley’s father sang his children Scottish ballads every night in place of the usual bedtime stories. Her books are inspired by these old songs and it shows in her lyrical prose. She hasn’t written many books, but I’m impressed by the worlds she spins from fragments of old stories. They are all imbued with emotional immediacy even as the settings stray into the magical. Try Chime, a story about how perception changes our world. The heroine struggles with the heavy weight of her self-hatred, learning how to let it go. Readers slowly unravel the tale as the book progresses, building to an incredibly compelling ending. Or check out The Folk Keeper, which explores how lies can isolate and diminish us. Slowly unraveling the tangle of lies that has surrounded her since birth widens the heroine’s world. Have you read books by these authors? What did you think? I’d love to hear about your own favorite YA and children’s book authors. Any suggestions for read-alikes?